so creamy and so silky smooth kheer!! love the jugs!!! so royal!! I am love with this kheer and those ethnic glasses you've served them in. 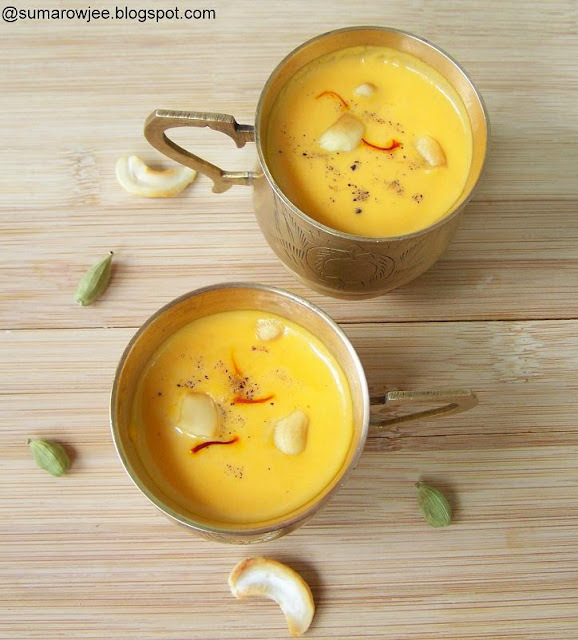 Beautiful and delicious, and so perfect for Holi. Happy Holi to you and your family. Nice pics Suma. I make this, though I have never used cashew nuts in it..the colour is beautiful. Carrot kheer sounds so delicoius. Happy Holi to you! And I just love those traditional cups you have served them in. My fav quick, no choco, no bake dessert? Kaju Katli - very quickly made, fit for royalty! Very rich,creamy,delicious and highly inviting kheer.Happy holi wishes to u too. 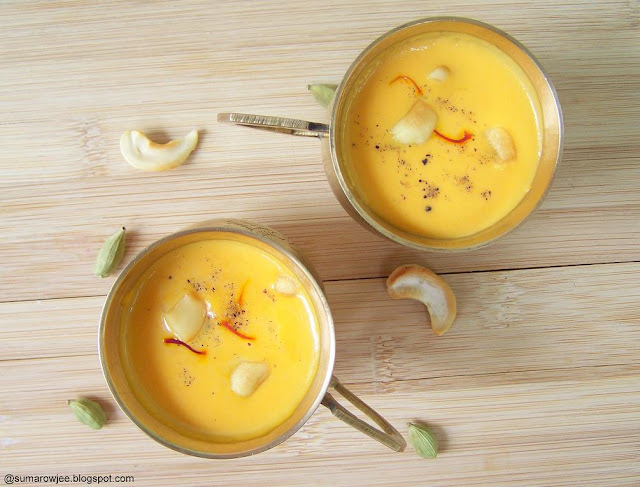 Suma, this looks heavenly and your pics are just making me say...slurp slurp kheer !! I love carrot halwa but this recipe sounds like lesser effort and less cooking time...i guess carrots can be put in the blender instead of hand grating which is a must for the carrot halwa. Adding to the 'sure try' list. 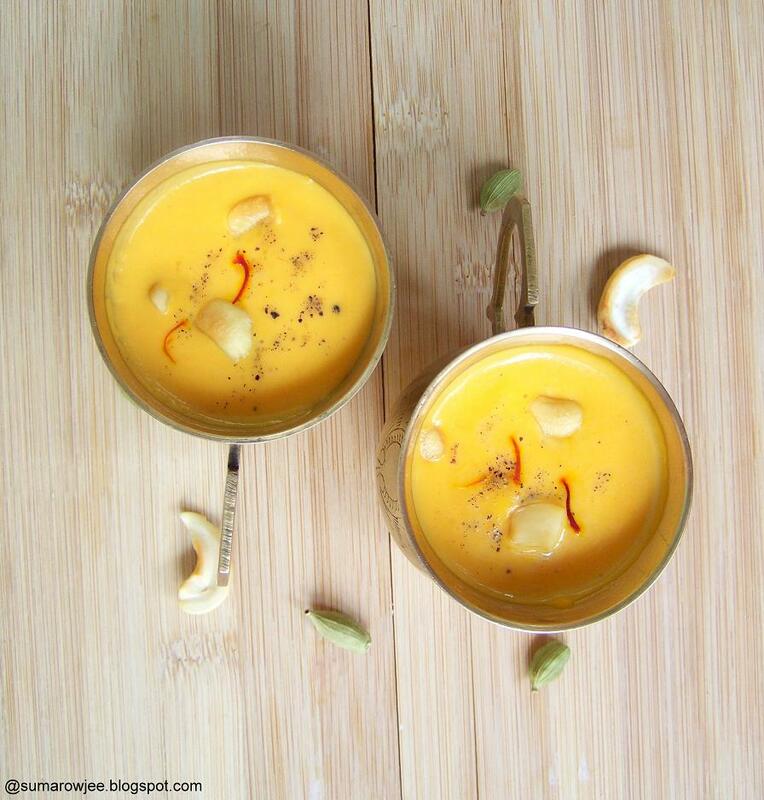 I go for the Punjabi creamy dessert phirni for a quick turn-around egg-less, no bake dessert.